Goa is one of India’s great tourist destinations, although it is definitely unlike any other place in the country. This beautiful seaside province has a culture all its own, a unique blend of Indian and Portuguese lifestyles infused with the easygoing nature for which local Goans are known. This does not mean that Goa is always lazy and laid-back, though: if you know where to look, some parts of it can offer a genuine party experience. Whether it’s relaxation or excitement you want, though, Goa’s best attractions tend to all be on the coast. This province has literally dozens of tourist beaches, all with their own particular flavor. Some are more easygoing than not—a perfect place for spreading a towel and napping while working on one’s tan. Others, on the other hand, are supply alcohol, parties, and people galore. Whether it’s a relaxed dip in the water or a mad rush to win a jetski race, the province’s beaches provide the means for it. 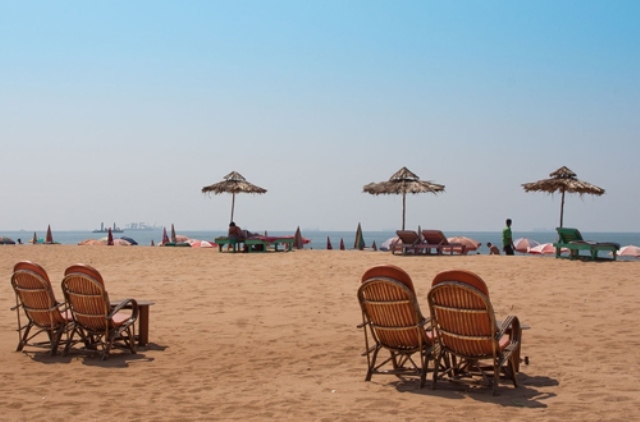 In Goa, beachgoers can take their pick of the type of beach experience they prefer. Besides the beaches are the architectural sights. Forts like Chapora face the sea and afford amateur photographers stunning seascapes, particularly around sunrise and sunset. Goa is also a place filled with religious buildings. There are dozens upon dozens of old but well-kept churches and cathedrals worth a visit here, including the World Heritage Site known as the Basilica of Bom Jesus—which also happens to be the resting place for the mortal remains of Saint Francis Xavier. Another World Heritage Site, Old Goa, is nearby, and is full of 15th-century structures and old temples. Museums for Christian art are also abundant in this place. Goa has long been known as the seaside holiday location for the rest of India, and as such, tourism is not new to this place. Despite that, it still retains much of its original charm and appeal, as many travelers heading to it quickly confirm. Regarded as a renowned holiday destination in the world, Goa expects the arrival of thousands of vacationers and tourists every year. Besides the Goan cuisine, nightlife, architectural structures and wildlife sanctuaries, Goa is home to some of the most beautiful beaches in the world. 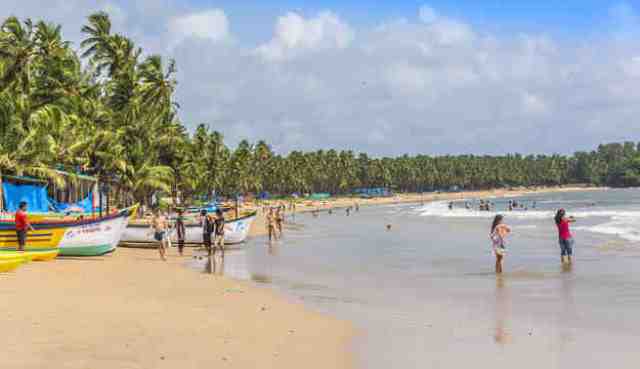 With its 131-kilometer long coastline, some of its popular sun-kissed beaches include Baga Beach, Calangute, Beach, Anjuna Beach, Candolim Beach, and Colva Beach. 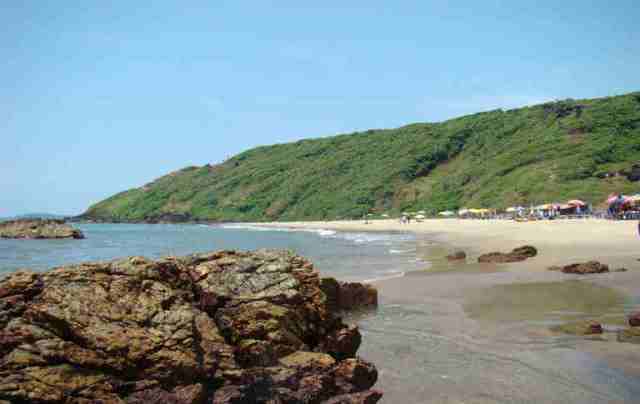 However, there are other Goa beaches worth to visit. Here are some less popular yet equally beautiful and charming beaches in Goa that you may check out. Located 14 kilometers north of Panaji, Candolim Beach is a perfect getaway for people searching for serene spot in a beach simply to unwind or de-stress. It starts at the Fort Aguada and ends in Chapora Beach, lying close to Sinquerim Beach. While not as jam-packed like Anjuna or Calangute, it is still fairly crowded with people doing yoga, enjoying water sports or just lazing under the sun. In addition, the beach is easily accessible and one can hire a taxi or rent a car to get there. 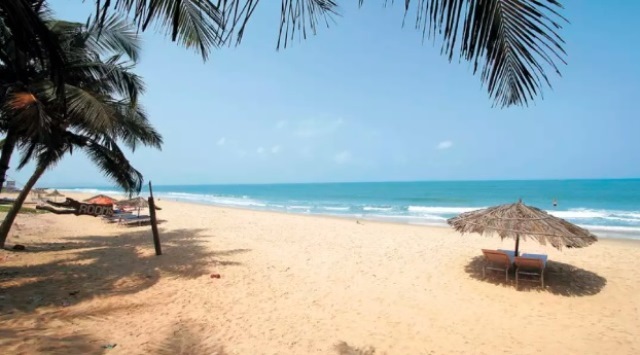 Located at Salcete Taluka, close to Benaulim, Fatrade and Cavelossim Beaches, Varca Beach is one of the longest Goa beaches, not to mention the quietest among the beaches in Salcete Taluka. The beach is also cleaner than most beaches, making it an ideal destination for people desiring ‘alone time’. Spending time all by yourself while feeling the cool air and relaxing under a beach shack is somewhat therapeutic, especially when you’re burned out from work or stressed out with your hectic daily life. Situated six kilometers away from Margao in South Goa, Colva Beach is one of the less crowded beaches in Goa. It is connected to Benaulim Beach and is popular for its white sandy shores, clean clear water and overall tranquil atmosphere. The beach stretches about 20 kilometers along the Arabian Sea, the longest among Goa beaches and known as the oldest beach in Goa. Despite the increasing tourism infrastructure, the beach has good amount of virgin territories laced with fine white sand for you to enjoy. If you are looking for a picture perfect beach, you have to check out Colva. What Are the Best Sights in Bogmalo Beach? 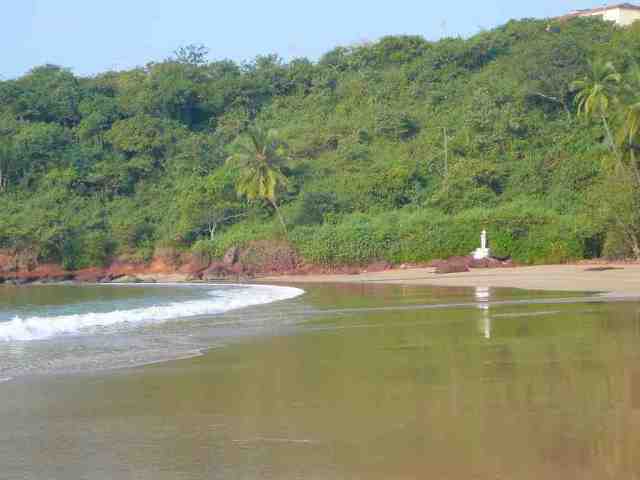 Located in a tiny bay with about a mile of curved coastline, Bogmalo Beach is one of the less-crowded beaches in Goa. Despite its close proximity to Dabolim Airport (around 4 kilometers), the beach maintains its tranquility and beauty, especially Bogmalo Village, a fishing village still largely untouched by the tourism industry’s drive towards modernization. Most Hindu temples are built on valleys but the Shantadurga Temple in Kavalem village is unique as it is situated at the foothill, giving a beautiful view of the white tower and red roof with a backdrop of greenery. 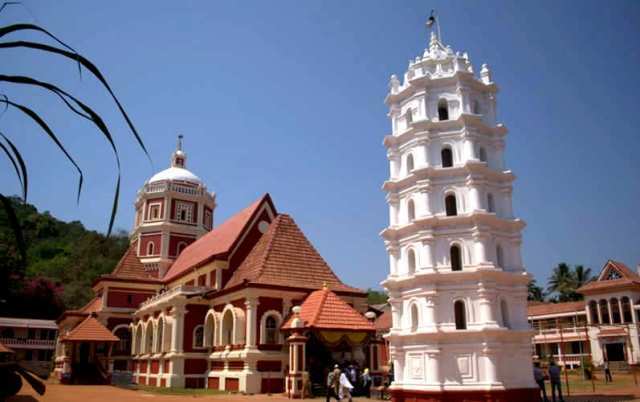 This temple is considered as the most significant and the biggest temple in Goa. Built in 1738 AD, it was built per the request of Naro Ram Mantri during the regime of Maratha ruler Shahu Raje of Satara. According to history, the original Shri Durga temple was destroyed during the Portuguese invasion in 1564, but the idol was safely brought to Kavalem where the harijans kept it safe for years. Since then, the temple has undergone several renovations to provide better facilities for visitors and devotees who visit here in great numbers from different parts of the world. Subsequently, the idol was returned to its present location.